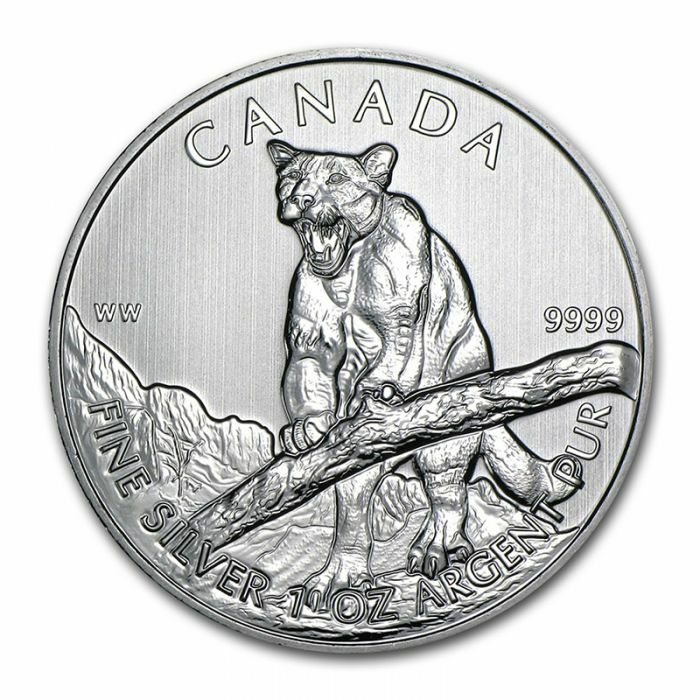 Introducing the Royal Canadian Mint Wildlife Series Cougar (2012) 1oz Silver Coin. This Royal Canadian Mint has placed a strict low mintage on them due to their worldwide popularity. An ideal solution for gifting, investment or even collecting. 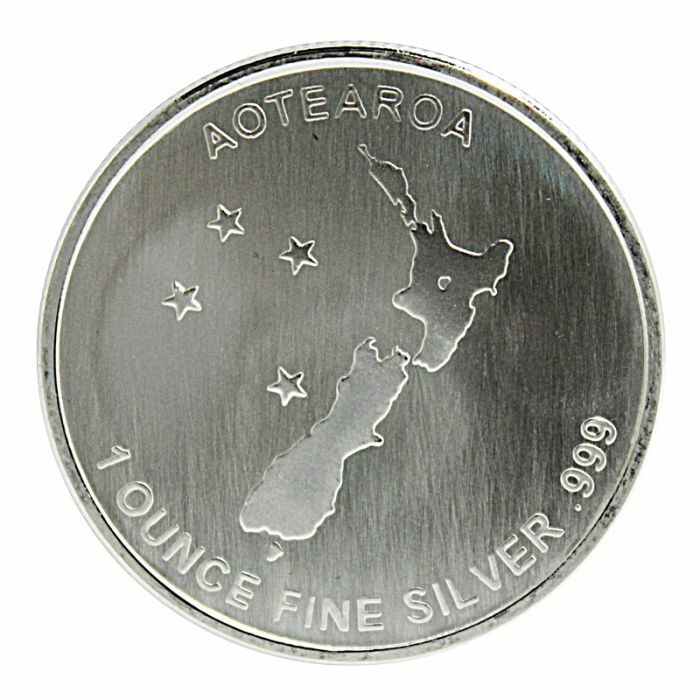 Weight : 1 oz of .999 fine Silver. Design (Obverse) : Displays the right-facing profile of Her Majesty Queen Elizabeth II, along with the year and face value. Design (Reverse) : Features a depiction of a wild Cougar, feet perched on a limb and growling at a foe. 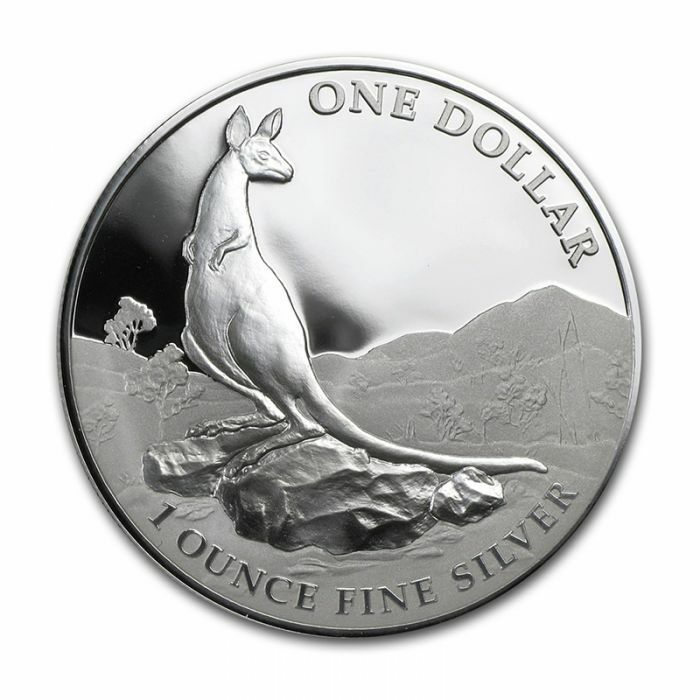 Introducing the Royal Australian Mint Kangaroo (2013) Silver Proof 1 oz 999 coin. This highly popular series from Royal Australian Mint, celebrates the unexpected design that will delight and captivate. 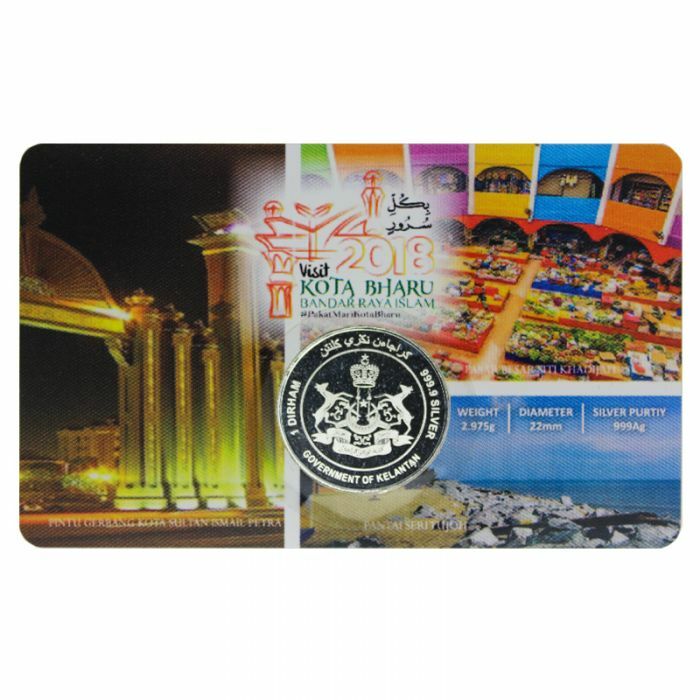 An ideal solution for gifting, investment or even collecting. Design (Obverse) - Features the George Stubbs likeness of Her Majesty Queen Elizabeth II and the year of issue. Design (Reverse) - : Features a kangaroo standing on a boulder, gazing out into the Australian wilderness, along with the Silver weight and monetary denomination. 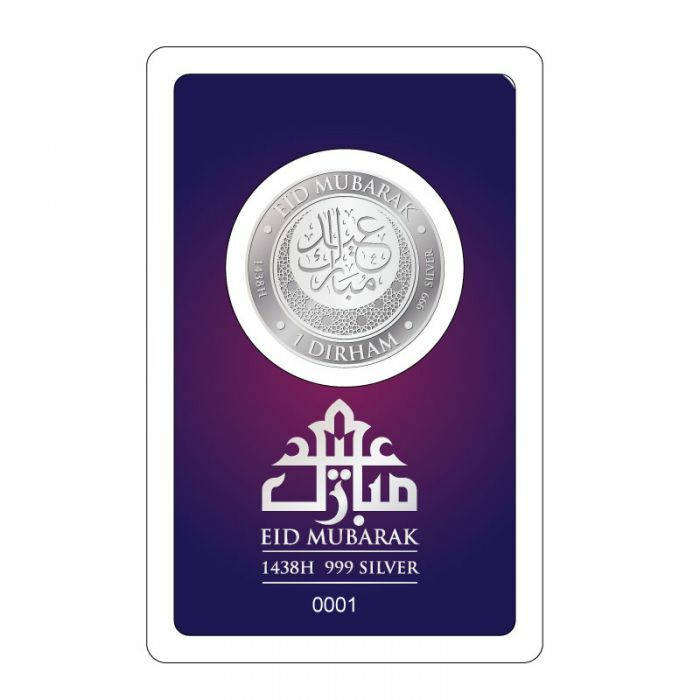 Introducing 1 Dirham Silver Coin in commemoration of the festive and happy month of Shawwal. 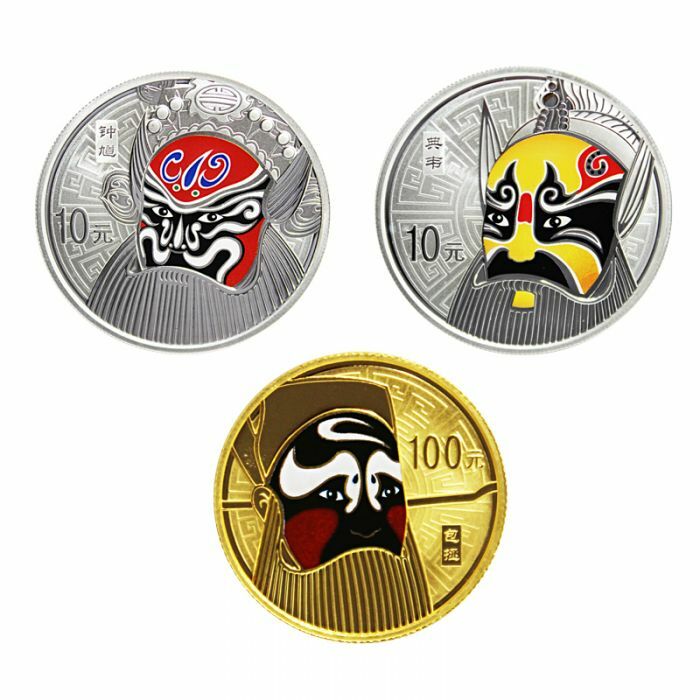 The silver coin comes in the usual size of 25mm and weighs 1 dirham, equivalent to 2.975g. 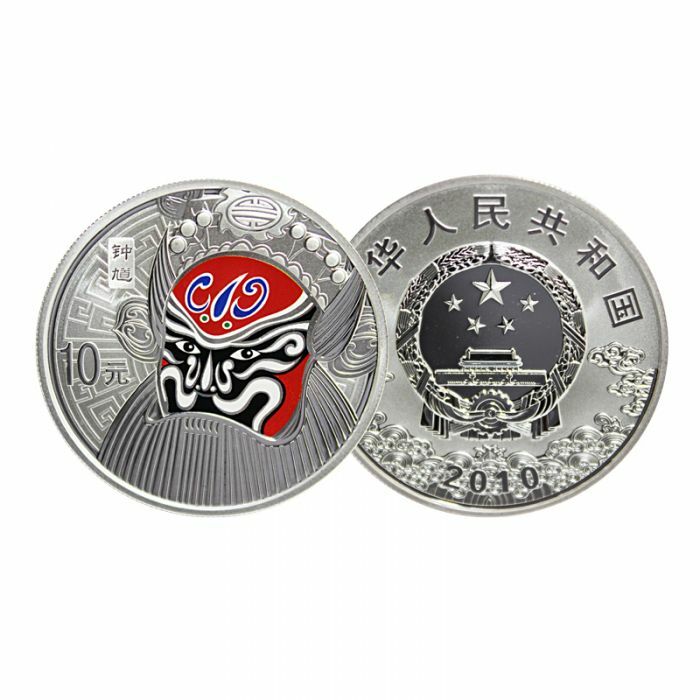 This seasonal silver coin is made with the ultimate fineness of 999 silver, the industry standard for minting. Design (Obverse) - features & Eid Mubarak in both English and a Thuluth Arabic calligraphy. One may also find a crescent below the calligraphy symbolizing the advent of the joyous month of Shawwal. Design (Reverse) - exhibits the saying, La ilaha illa Allah, Muhammad Rasul Allah (There is no God but Allah and Muhammad is His messenger) in unique yet simplistic Kufi Arabic calligraphy compressed in a neat geometry pattern.